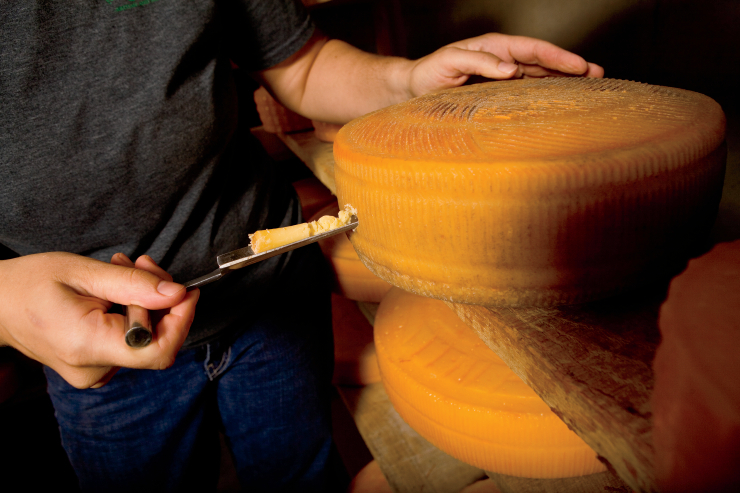 If you visit Marcoot Jersey Creamery in Greenville, chances are that you’ll leave with a full belly and a new appreciation for dairy farming. 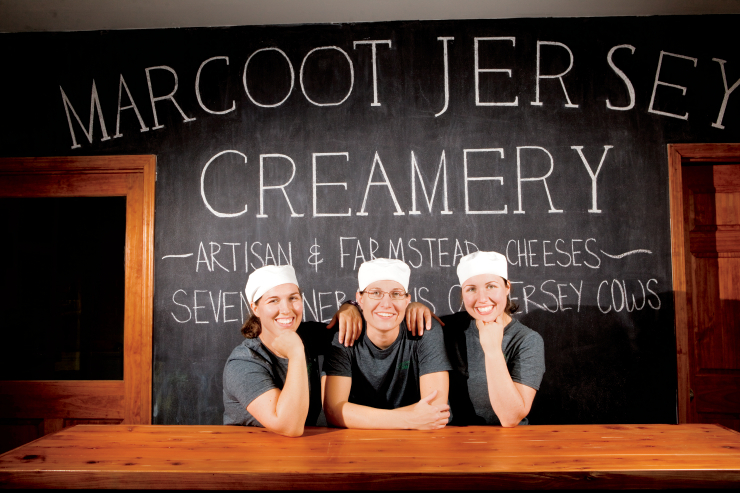 The Marcoot family milks 65 Jersey cows twice every day and makes 18 varieties of cheese and a dozen flavors of ice cream, which they sell at the creamery. 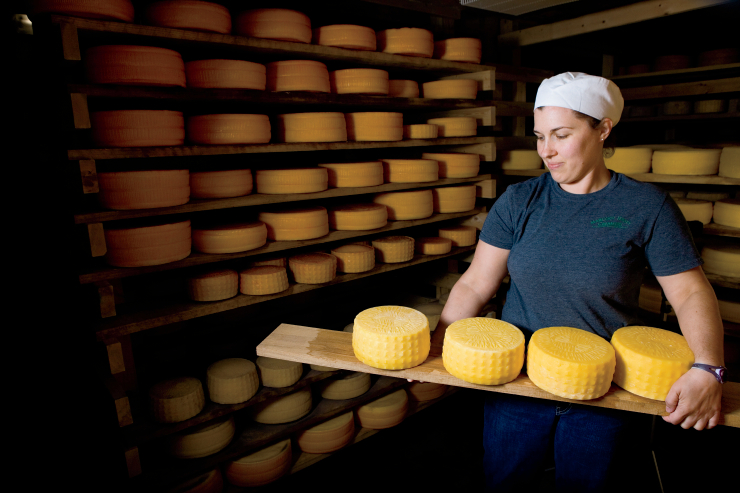 Tours of the farm and creamery are $3 per person and give visitors a behind-the-scenes peek at the milking parlor, calf barn and cheese-making process. Besides Marcoot Jersery Creamery, more than 50 other farms and agribusinesses across Illinois are also open to the public, inviting city-dwellers to spend a relaxing day in the country. While most are farms and orchards, others are vineyards and wineries where visitors can sample wines, attend dinners, pick grapes and learn about how wine is made. Bruce Curry runs one of Illinois’ busiest agritourism destinations today, but he has fond memories of his humble beginnings. Each day after school, Curry would come home and find money in the can. Today, Curry’s 80-acre farm, Country Corner near Alpha, has a fully-stocked farm market where he sells more than 50 varieties of vegetable plants, perennials, hanging baskets and seasonal produce, including strawberries, green beans, watermelons and asparagus. Country Corner also has pick-your-own pumpkins in the fall, hay rides, a barnyard zoo, outdoor education center and an 8-acre corn maze. More than 35,000 people visit Country Corner each year, including about 5,000 students on scheduled farm tours. Curry says that an on-farm experience can make a major impact on its visitors. In August 2011, President Barack Obama held a Town Hall Meeting at Country Corner. The White House representative then explained that the president would be coming to Curry’s area on a bus tour and asked if he could stop at Country Corner. Curry agreed, and the next morning, the president’s crew arrived to scope out the place. “I gave them a hayrack ride and fed them my produce,” Curry says.